I can’t let a week can’t go by without visiting Lynn Dell’s “Off Broadway Boutique“. Lynn believes that fashion should be fun and not taken too seriously. I always find the most amazing ladies shopping or walking by the store including the beautiful Gillian Chvat. 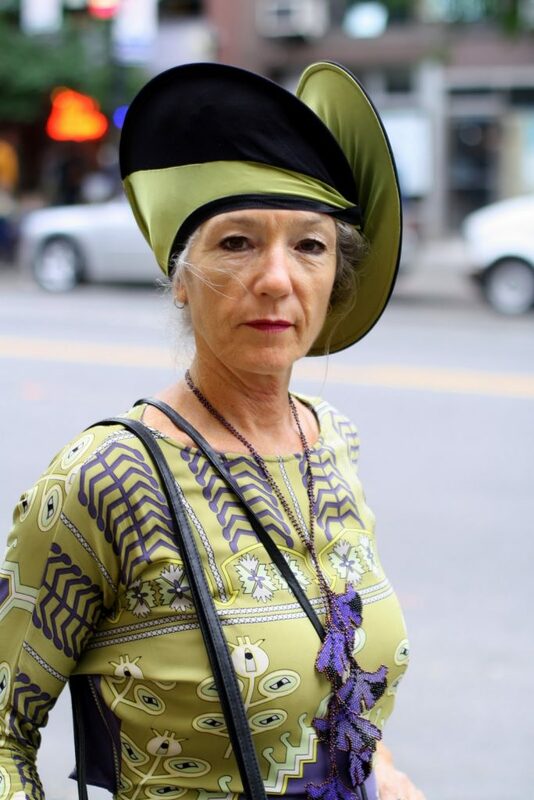 Gillian is a jewelry artist living in India, who also reps the line of hats she is wearing in the photos above.